Collaborate: to work jointly on an activity to create something. 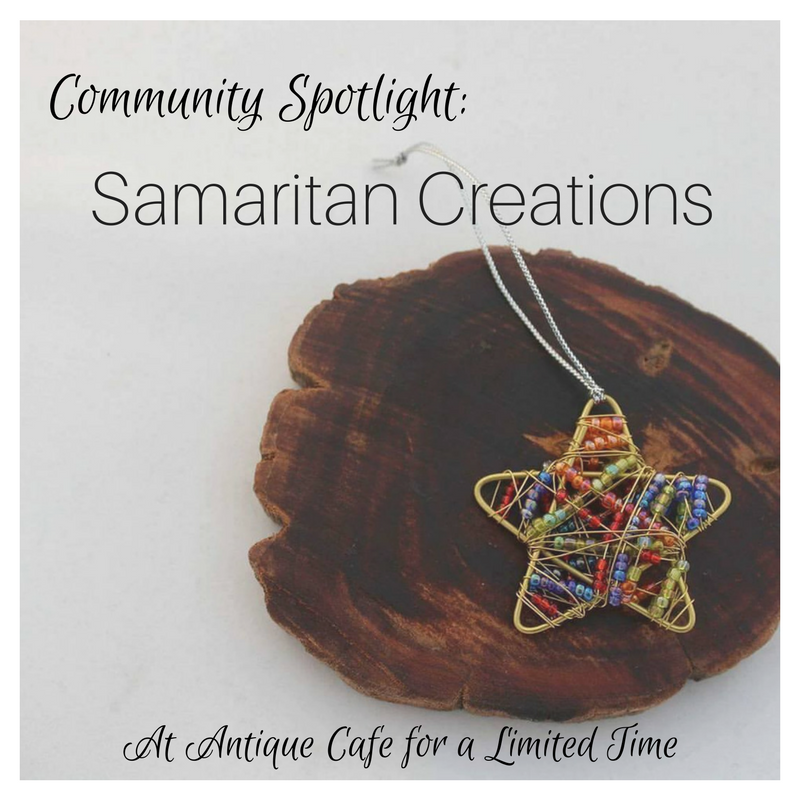 Antique Cafe collaborates with local non-profits like @SamaritanCreations, spotlighting products that bring dignity and restoration to those who create them. If you’re headed to one of our private rental events in the next few weeks, be sure to check out their beautiful hand-crafted products! Perfect for shipping to loved ones overseas!